Fox Pest Control provides pest control in Melville and the surrounding areas. We take pride in providing exceptional customer service, and take to heart the feedback we hear from each and every one of our customers. Below you’ll find our reviews, testimonials, and feedback from the home owners and businesses in Melville we’ve serviced. If you need a Melville exterminator, contact us today! Fox Pest Control has been very reliable and professional. 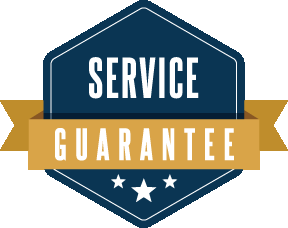 There technicians are very thorough and did an excellent job around my entire property. I would highly recommend them to anyone looking to control there pest and insect issues. James came out to my house and gave me an honest assessment of the pest problem! He was courteous and very helpful! I'd recommend Fox Pest Control to anyone who needed help with a pest problem in their home or apartment. Their rates were reasonable and they came at the time they said they would. He actually called before coming which was helpful as well. Danny came for my home inspection today. He did a great job! Checked everywhere, put traps where needed, and sealed up entry points. He was very professional and personable. Also, Fox Pest Control is very good at communicating when they are coming and working with your schedule. Highly recommend. I highly recommend this wonderful Company. They are professional and truly customer focused. They timely arrived , exceeding my expectations, and immediately addressed my rodent problem. They came beck to my house many times to make certain the rodent was gone. Their concern and assistance was always appreciated. I definitely will use them again in the future to address all pest concerns.